Focusing on implementation of solid and liquid waste management practices, Commission of Environment Forest and Climate change organized a consultative forum held in Adama from December 24 to 27, 2018. At the workshop representatives from different Regional, Federal and Public sector participated. On the workshop the commission experts presented their assessment findings of waste management practices on Textile, Flower, Leather and Industrial park. Following the presentation the participants discussed on the findings in each sector and set a direction on the way forward. 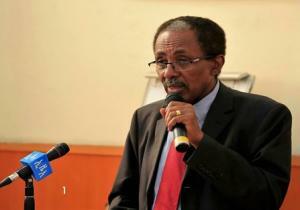 H.E Professor Fekadu Beyen, Environmental and Climate Change Commissioner, said the Ethiopian government has set clear guidelines for the implementation of these laws, and green development Climate-Resilient Green Economy (CRE) mechanism that is being implemented in Ethiopia should be regarded as part of this decree. The commission will continue to monitor and follow-up on the agreed points.